Q. 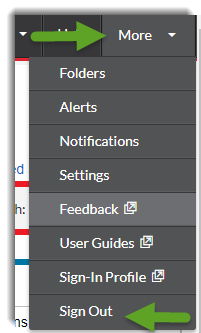 How do I create an account and set my preferences /filters in Lexis Advance. Lexis Advance now requires a first time registration for staff and students. 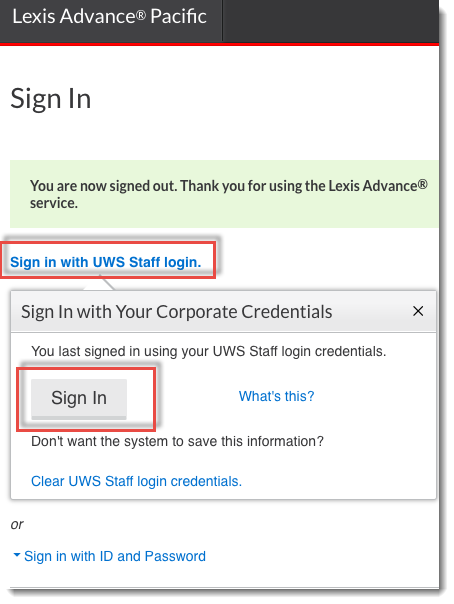 After selecting the Lexis Advance link, you will be directed to a page that prompts you to choose either staff or student. Select the option that is relevant to you. Select the appropriate filter and select Save Preferences. 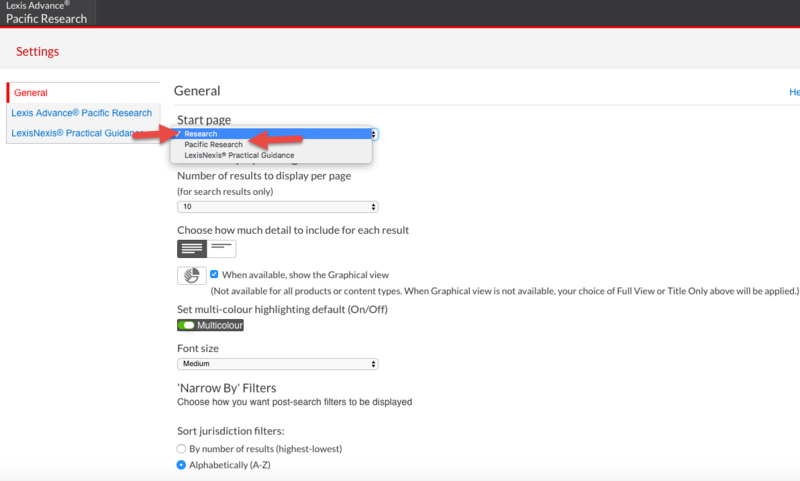 You will then be directed to the Lexis Advance start page where you can start searching for content. 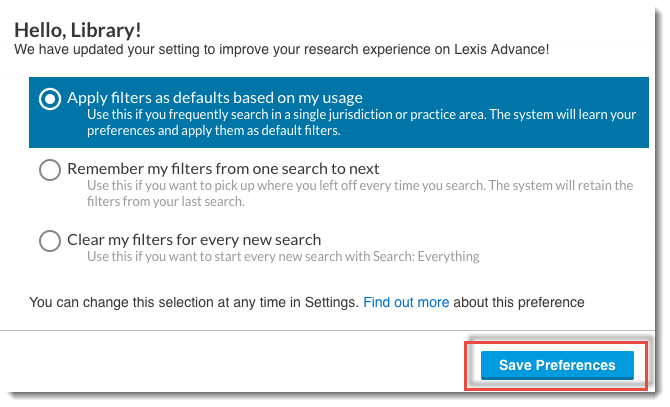 On the settings page select either Research for international content (previously Lexis.com) or Pacific Research for local content. Select other settings as required. You will be directed back to the landing page and your starting page preference should appear in the top left hand corner.